Modern cosmetology allows the use of current because of its effectiveness. 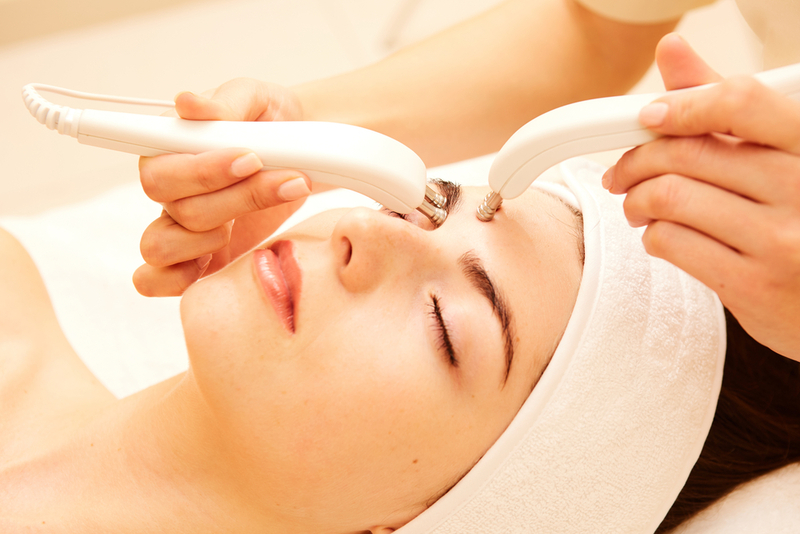 Electrotherapy facial includes two main ways of treatment: galvanic and microcurrent. Such we perform in Anna Esthetics SPA. These kinds of facial techniques help to stimulate and “wake up” our skin cells, which normally are not enough active. When they all are toned, the skin ageing processes get more slowly. And a lot of other benefits! Estheticians of all over the world have been using the electrotherapy since the twentieth century. So, it is an almost reliable and proven method of performing facial. It works due to low amounts of current, which permeate through the skin cells and muscles. Electrodes, which are placed on the face and neck areas, irritate derma and force it to the renovation processes. The current influences not only cells but also capillaries. So, it stimulates the blood flow and helps to fasten cells’ regeneration and exchanging processes in it. Such treatment is useful to prevent the skin aging on the first stages and lift your face shape. It can smooth little wrinkles and remove an old cornified layer. Because of current irritation, derma gets an “alarm” signal and becomes toned. That why you can see the immediate result, which will stay for two-six days. Or longer after the finished course of manipulations. 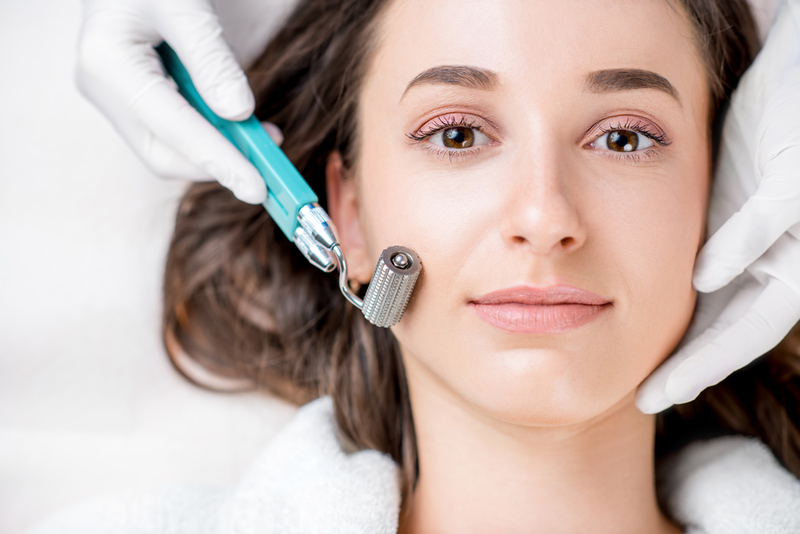 Galvanic therapy includes two steps of performing. First, the esthetician cleans dirty pores through a process called “desincrustation”. The highest attention should be paid to a “T-zone” of your face. The pouring of special gel with negative ions forces skin cells to change their PH. While it is applied, the professional will perform deep cleansing with the use of devises, providing the low-level current. Under the force of electrodes molecules of subcutaneous fat come out from pores and turns to a soap. Which will be carefully and thoroughly removed from your skin without any pain or force. This process is called “iontophoresis”. Now the esthetician applies another gel with an opposite charged ions – positive. It is necessary to change the skin PH back to normal and also fill your derma with the nutritious ingredients. Now it will permeate through the cells and pores easily, calming the irritated cover. Improved blood circulation and intercellular exchange. This method is effective to fight swelling and extra water in your derma. The ridding of it mainly helps to tone and modify the face, neck and décolletage contour. An important benefit – both techniques are mostly painless because of using low level current. You can feel tingling and slight pinching on the area of treatment. These manipulations may cause a skin reddening. But not for a long period. It normally stays for few hours after visiting the esthetician. But you also should be careful about using cosmetics during the next 12 hours. The skin becomes more sensitive and it can induce irritation. Also, there are some contraindications to electrotherapy. So before using such a method you should have a consultation with a professional cosmetologist, who will recommend the most appropriate procedure for your individual skin type and variety of problems. In our Tampa Beauty Center we will find the best technique for you.